Striving to think of photography ideas as a gifts for photographers? It’s tough, but we have come up with a variety of gift suggestions to assist you in getting your creative juices flowing! 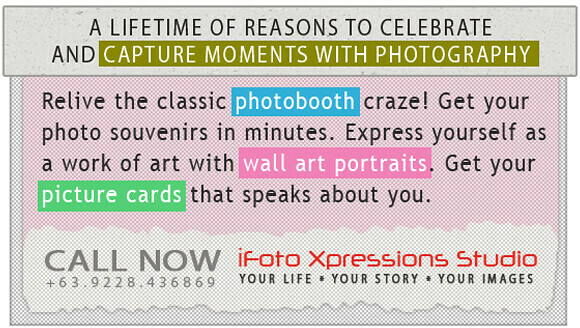 You can buy something that is useful with their photo-taking hobby or profession. How about a book on how to compose brilliant digital photos even with just a point-and-shoot camera or a book about photography business for the pros. Here are other awesome gift ideas you may want to add for any of the photography lovers or pro photographers on your list of circles. If you are thinking of getting a digital camera, you can choose between a compact or an SLR instead. If this is your first time to buy, SLR stands for Single Lens Reflex. This basically means that the digital camera comes equipped with one regular 35mm lens which can be replaced with another lens. These digital cameras are more expensive compared to compact cameras and are for serious and professional photographers only. The compact camera goes into your pocket, easy and fast to operate. There’s a big difference in the level of image quality and the number of photos you can actually capture when choosing between digital SLR or compact cameras. 3. Wedding Photography Service: What Camera Lens To Use?